The opening race of the Le Mans (Endurance) Series – the first one of all, back in May 2004, at Monza – was a fascinating event in many respects, not least of which for the way three ‘old hands’ adapted to the Zytek 04S, which was making its race debut that weekend. David Brabham had been testing the car beforehand, Andy Wallace having shaken it down, while Stefan Johansson hadn’t driven it at all until the meeting began. In the wet afternoon session at Monza, Johansson was flying on his second lap in the car, ever – when he set the second best time of the session, up to that point. 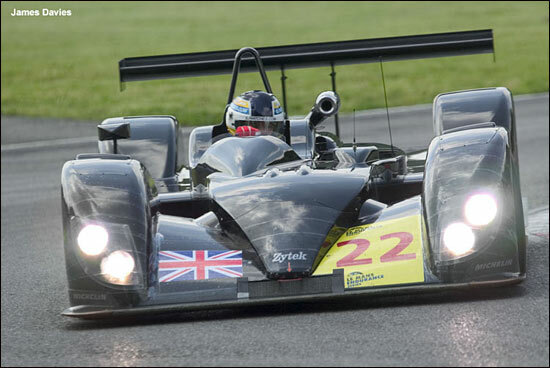 Now he’s back in the hybrid version of the 04S, the Zytek 06S, at the Nurburgring this weekend. His partner will be the Japanese driver Hideki Noda. Whatever happened to Hayanari Shimoda? Hideki Noda has been racing the chassis that Johansson and co. ran so well in back in 2004, this one now residing in Japan, and running in the Japan Le Mans Challenge. “The team is eager to get the car back on the track following the Le Mans 24 hour race, the car is in great shape, and the endurance racing experience in the driver partnership of Johansson and Noda puts us in a strong position for the race at Nurburgring,” says Zytek’s Race Director Trevor Foster. The 06S will feature backing from Cisco Asset Management, and Eiko Seminar. 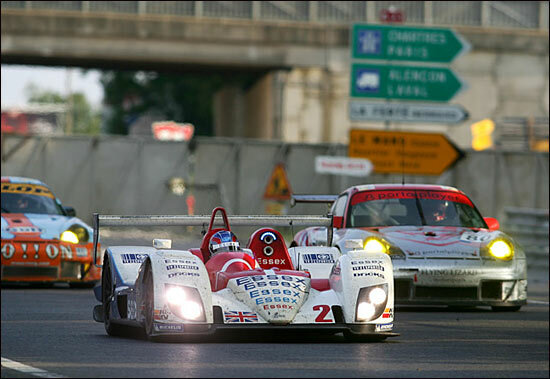 Here's Stefan Johansson at Monza in 2004, in the 04S, and the 06S on the way to a finish at Le Mans last month.